It is no longer news that afrobeat artiste, Willie XO, came into Nigeria recently amid warm reception from scores of his fans who have been following his rising profile since his first single Kraze dropped this year. But what seems to be news was the notable feature about the arrival of Willie XO. Apart from the bodyguards and crowd was his eye-catching accessories. As usual, the music act was cladded in head to toe Gucci designed clothing, bling bling, a head banner, and to top it up he had on his wrist a diamond encrusted Patek Philippe Geneva watch valued at N40 million. Meanwhile XO loves Gucci stuff and Patek Philippe is one of the world’s most prestigious watch manufactured and has had royal clients such as Queen Victoria, Prince Albert, Christian XI and Princess Louise who are king and queen of Denmark, and Victor Emmanuel III of Italy (king of Italy and Duke of Savoy). It was quite a job for the bodyguards to handle as Willie XO still negotiated his way through the crowd to the waiting car. 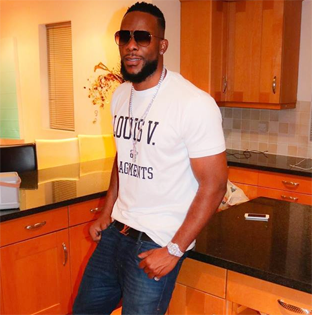 The post Willie XO rocks N40m Patek watch on arrival in Nigeria appeared first on Vanguard News.